While several breakthroughs in battery technology have come up, none seem to be commercially viable, which is why smartphone manufacturers like Apple are attempting to come up with ways to improve other technologies so they are able to conserve battery life in mobile devices. This will range from using OLED screens, but the backplane of iPhone models could also be seeing a change. A shift in the use of material could see extended battery life and we are going to be talking about everything we know about this potential plan. If you are confused about these aforementioned terms, let us explain. The backplane of a smartphone turns off the individual pixels and plays a pivotal role in determining a display’s resolution, refresh rate, and power consumption. 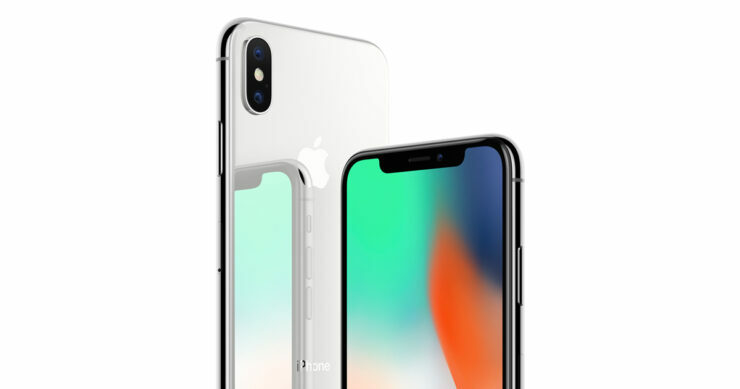 Though the OLED screen in the iPhone X is able to conserve battery life and radiate a brighter display outdoors, it still uses LTPS TFT technology or low-temperature polysilicon thin-film transistors as the standard backplane technology. In the coming years, MacRumors reports that IHS in under the impression that Apple could switch to LTPO TFT or low-temperature polycrystalline oxide for the backplane in future iPhone models. 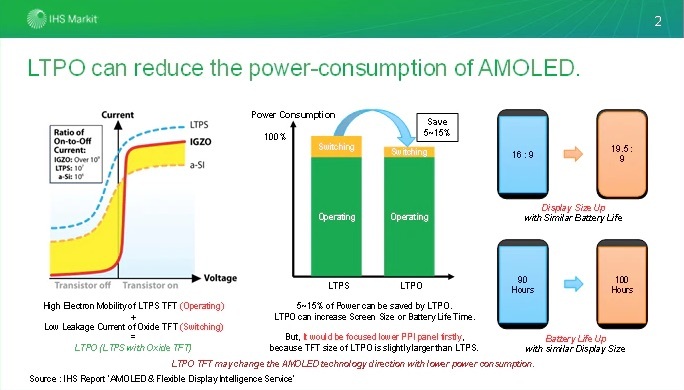 In theory, IHS believes that LTPO TFT can save between 5-15 percent in power consumption versus LTPS. Apple is expected to launch its biggest iPhone ever, bearing a diagonal screen size of 6.5 inches and it will feature an OLED panel. The obvious benefits of launching an iPhone of this size are that the battery capacity will proportionately be bigger but Apple might also be encouraged to increase the screen resolution, thus putting additional stress on the cell. That being said, any gains in conserving battery life will be seen as a plus for Apple and its iPhone lineup. IHS also believes that Apple may be interested in developing LTPO technology to gain more control over components of OLED displays. Since manufacturers like Samsung and LG currently maintain exclusive control over the process, a company like Apple will be able to do well to break this monopoly. IHS did not comment on whether the 2018 iPhone lineup would feature an LPTO TFT backplane technology but it will be interesting to see if they do. As always, we want you to tell us down in the comments if you’d like to see this technology or if you think that such an incorporation of this backplane will not translate into real-world benefits.